Let the world change you... and you can change the world. 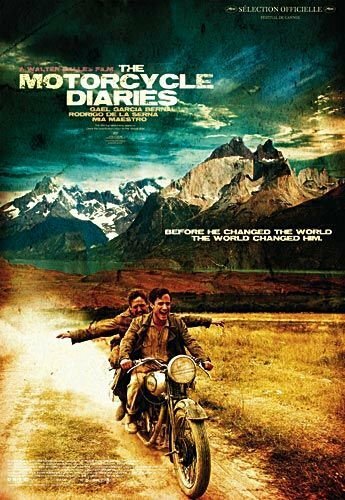 Just finshed watching the movie, The Motorcycle Diaries. Its a moving movie, very nicely made. What i love is the character of Che Guevara and his intergrity and honesty. Its a worth watching movie. As a person he had this extra-ordinary charisma and charm inside him. His humble and simple living was the most beautiful part of him along with his passion for changing the lives of his people. As a government official, Guevara served as an example of the "New Man" (el Hombre Nuevo). He regularly devoted his weekends and evenings to volunteer labour, be it working at shipyards, in textile factories or cutting sugarcane. He believed such sacrifice and dedication on the part of the people was necessary to achieve Communism through the Socialist society. Guevara was also known for his austerity, simple lifestyle and habits. For example, upon becoming a member of the government, he refused an increase in pay, opting to continue drawing the (considerably) lower salary he received as a Comandante (Major), in the Rebel Army. This austerity also manifested itself as a general dislike of luxury.